Bruce Springsteen.net veröffentlichte nun die Pressemitteilung und ein Video mit Lyrics. Auch wird in der Pressemitteilung auf ein „Konzeptalbum“ hingewiesen. BRUCE SPRINGSTEEN TO RELEASE NEW STUDIO ALBUM ‚WRECKING BALL‘ ON MARCH 6; EUROPEAN DATES AND SXSW KEYNOTE SPEECH CONFIRMED Bruce Springsteen’s new album ‚Wrecking Ball‘ has been set for March 6 release on Columbia Records. Marking his 17th studio album, ‚Wrecking Ball‘ features 11 new Springsteen songs and was produced by Ron Aniello with Bruce Springsteen and executive producer Jon Landau. A special edition of ‚Wrecking Ball‘ will also be available and include two bonus tracks and exclusive artwork and photography. Bruce Springsteen will make an appearance as the keynote speaker at SXSW 2012. 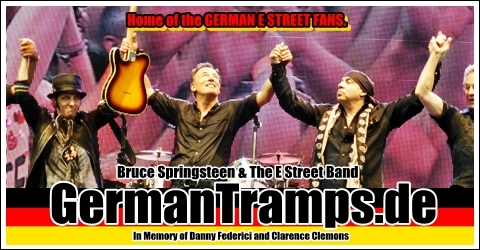 Bruce Springsteen and the E Street Band will be touring extensively in the US and Europe in 2012. ‚Wrecking Ball‘ is available for pre-order now on Amazon and iTunes.